Battlecry: Draw 3 cards and recruit any minions drawn. 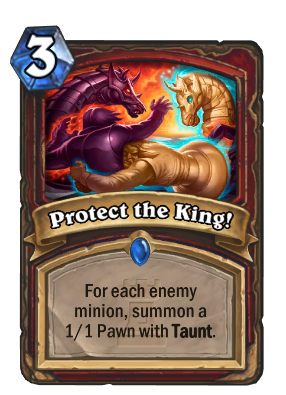 But they changed the old cards that healed heros when they attack when they introduced Lifesteal. Recruit is expansion specific to K&C the same way Adapt was for Un'goro. Blizzard said lifesteal is permanent and that they will continue to use it. No, for the simple fact that recruit means the minion gets summoned out of your deck but this card puts cards in the battlefield when they get drawn so they don't get recruited. He "died" in two games just to be THE hero of yet a third one. Why not just play wild? 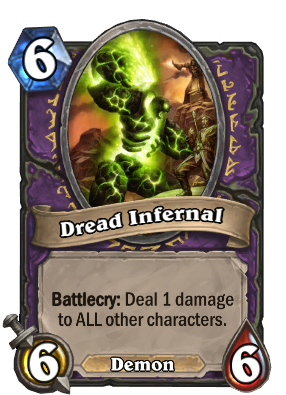 hope blizzard make this guy Classic card ! 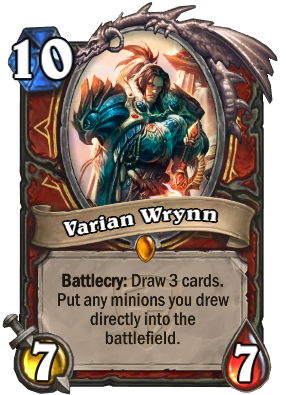 Anyone tested if his effect works with the Warrior Taunt Quest?